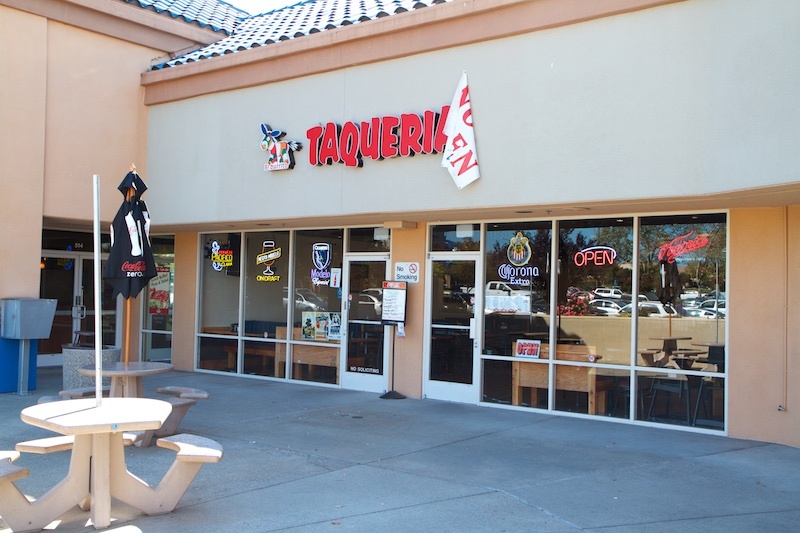 Taqueria El Burrito is a new Mexican joint that took that place of Ancho Mexican Grill (also previously, Baja Fresh) in the TJMaxx center on Douglas. 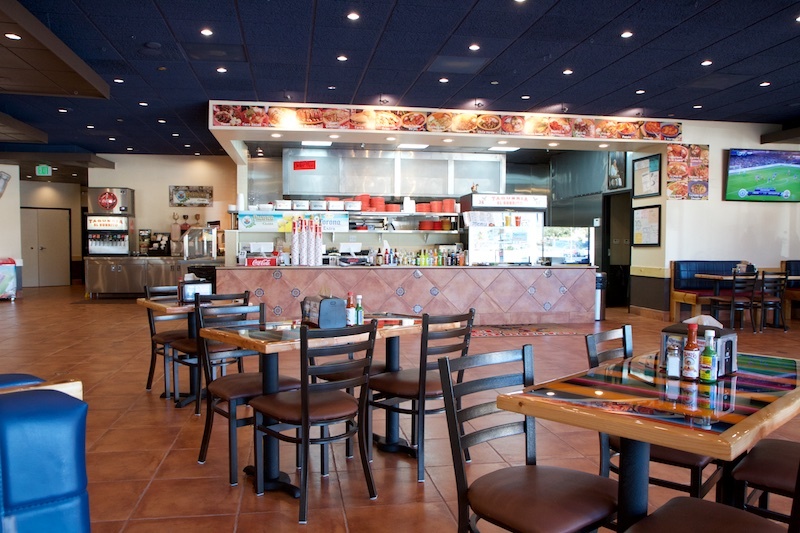 This is the 3rd of this local chain with locations in Davis and Sacramento. I watched this place with interest for a long time. They had the sign up early and worked on the place for quite a while. Inside there have been huge changes. I have to say that I really liked what Ancho did with the place before, it had a very modern feel, lots of seating and yet still felt very open. Now the space carries a much more traditional taqueria vibe. Bright, colorful tables, mostly booths around the perimeter with a handful of smaller tables towards the front door. I walked in just after 11AM and made the semi-long walk to the back where the counter and kitchen were located. The place feels huge now and has a lot of wide open, unused space. It looked like there were just two people working at the time. The cashier was out at a table delivering food when I made it to the register. The cook saw me through a little window to the kitchen and said “good morning.” I picked up a laminated menu from the counter and scanned over it quickly. Pretty standard taqueria offerings with more meat choices than most (asada, adobada, pastor, carnitas, pollo asado, pollo desebrado, chorizo, chili verde, chili Colorado, lengua, cabeza, tripa, buche, carne molida & birria). 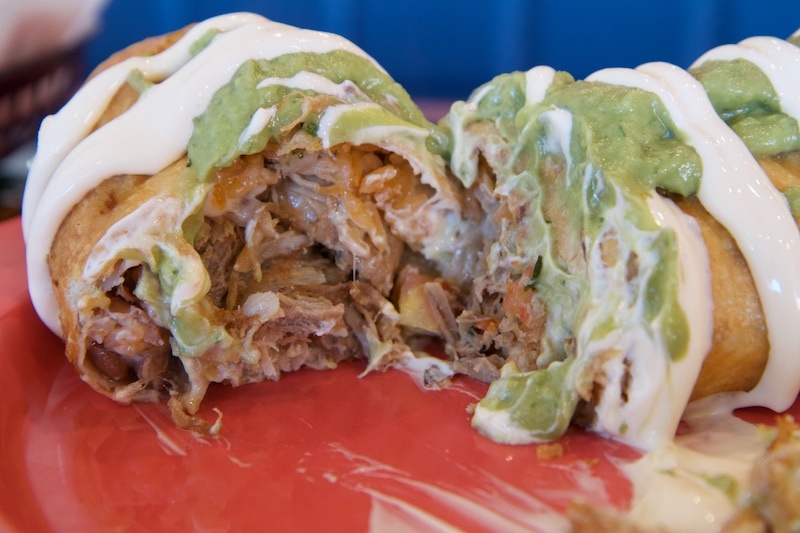 I decided on the chimichanga with carnitas (deep fried burrito, meat, rice, beans, cheese, salsa, sour cream, guacamole & lettuce)[$7.95] and got a medium drink to wash it down [$2.25]. I paid and the screen was swiveled around for me to sign on (same thing that Green Boheme had). There were tip selections, however the cashier reached over and hit “no tip” as soon as the swiveled the screen. I signed, grabbed my cup and got my drink and a basket of chips from the salsa bar. For my drink I went with an horchata first. I really liked the decoration they had on top of the dispenser, it was a glass filled with rice and had a few cinnamon sticks in it. It was a nice visual representation of the beverage underneath it. The other two aguas frescas choices that usually are seen alongside horchata had similar displays. The salsa bar had a nice selection of about 5 or so salsas. I went with the Sinaloa Hot and a mild creamy avocado sauce. The chips were very average, nothing special. The avocado sauce has a pretty similar flavor to the sauce I love at Taqueria El Sombrero (my all-time favorite at Douglas and Sierra College), though this was seriously much more smooth, it was kind of weird. The sinaloa I did not find to be very spicy and was lacking flavor in general. The horchata was probably the biggest disappointment, it was the most bland I’ve ever had before, tasting more like a sweet low-fat milk than a cinnamon rice drink. I ended up going and pouring that out in favor of Mr Pibb. 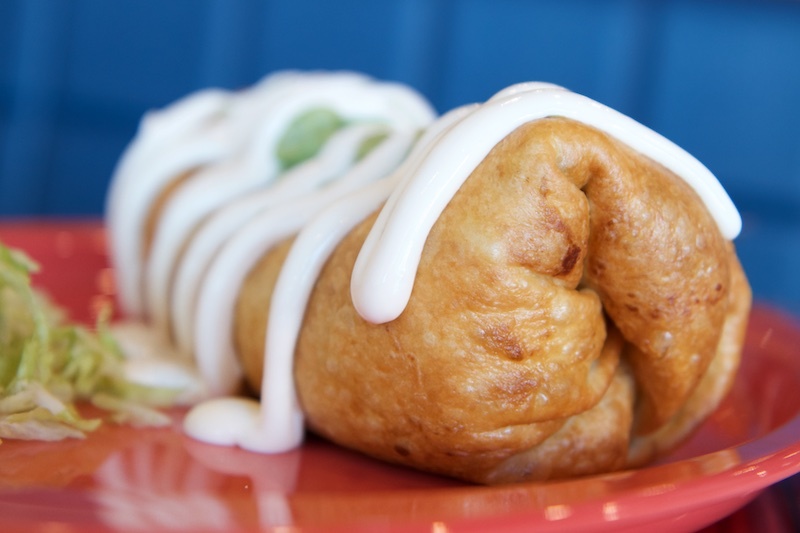 My chimichanga was brought out in very little time, just a little over 5 minutes. 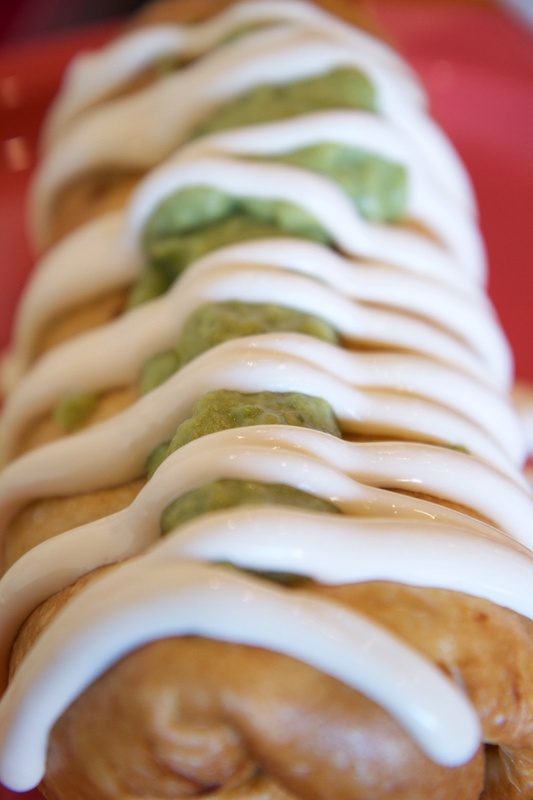 It was a monster and was dressed up in a ton of sour cream and guacamole. A little pile of shredded lettuce was on the plate next to it. I sliced through the crisp tortilla and revealed the packed insides. There was no shortage of carnitas in this thing, it probably accounted for 75-80% of the volume. The carnitas itself was very tender and tasted pretty good. It’s not the most incredible carnitas I’ve had, which usually has s little more flavor with some citrus coming through and nice crispy edges, but this will definitely do, and the price was very fair. Guacamole is usually amazing or terrible in my experience. Here they somehow found a middle ground and it was just OK. I definitely was not blown away by El Burrito. It was very satisfactory. 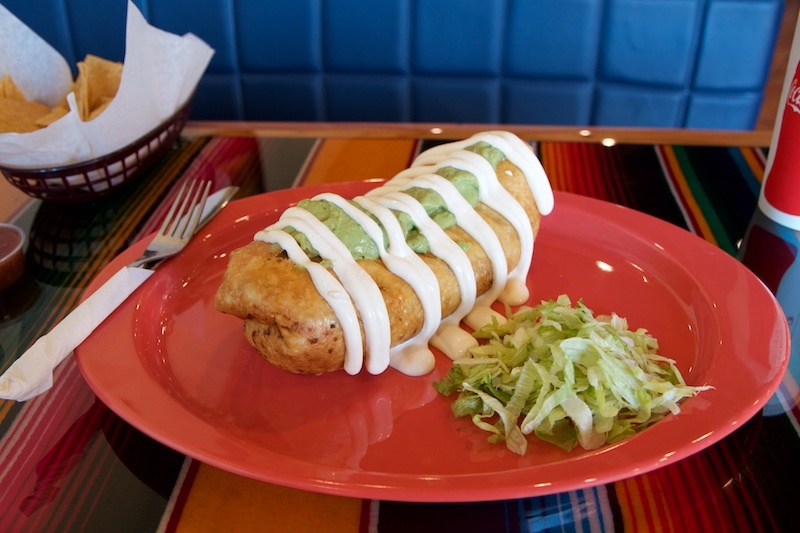 The thing is, we have many incredible Mexican food choices in the area, so even though it wasn’t bad I doubt seeing myself return in the long run. Had a similar experience. 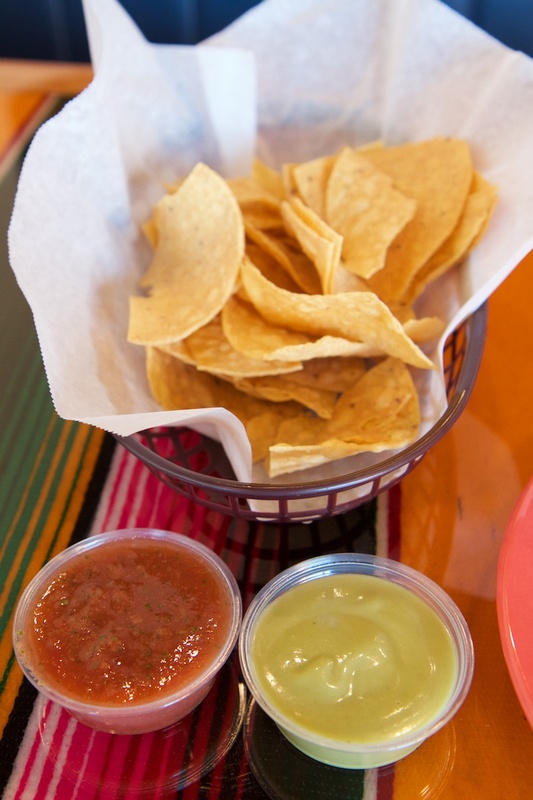 I did think the chips and salsa I got(not sure which) were very good. I thought the sauce on top of my burrito was way too much, and overly salty.